Well friends, I'm here with the last of my 12 Tags of Christmas Funkie Junkie Style. But that's not going to wrap it up for this year. I know many of you hate to see the challenge end so I've created a bonus round for two more tags with a Thank You theme which will be published on December 23rd and December 30th. 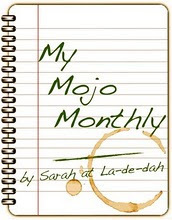 And I have extended the deadline for all tags until January 8th. If you finish all your tags/projects and meet the other requirements by January 8th, you will be in the random drawing. I'm giving away 3 gift certificates - one for $50 and two more for $25 each. 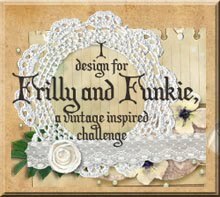 Anyone who properly completes the challenge of the 12 tags by January 8th will receive a January coupon for 10% off at The Funkie Junkie Boutique but if you do the two extra thank you tags, your coupon will be for 15% off. And now that the business is out of the way, I'll give you a few details on my tag. I have been dying to use this Deco Christmas set by Tim Holtz but just hadn't been able to work it in for any of my DT commitments. Normally I use a jumbo manila tag, but this time I wanted gold and white so I covered my manila tag with white CS. Then I stamped the silhouette with Distress Embossing Ink and applied Queens's Gold embossing powder. That's the first time I have used it and I really love the way it looks. It's not as shiny as some gold EP and it has almost a gold foil look to it. If you double click the image to get the largest close up, you can better see how it looks. 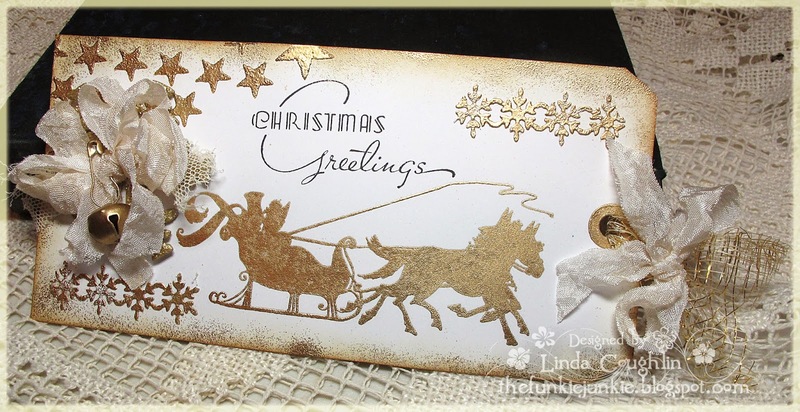 Then, using the Tim Holtz Stars stencil, I embossed some stars with Wendy Vecchi's gold embossing paste. But I wasn't happy with the gold color - it didn't match the Queen's Gold EP so while the embossing paste was still wet, I applied the Queen's Gold EP to the stars and heated it up. Because the embossing paste wasn't quite dry, it bubbled a bit and I really like the effect. Next I stamped the greeting in Jet Black archival and inked the edges with Antique Linen DI. I thought it looked a little bland so I applied a very little embossing powder to the edges and melted it on. I really liked what my friend Jenny did on her card with the Decorative Strip snowflakes, using them in small pieces rather than an entire border. So I gold embossed mine and cut them into pieces. I thought they worked rather well here. To finish it off, I glittered a large snowflake die with Antique Linen Distress Glitter and topped it off with a shabby seam binding bow and a jingle bell that I also embossed with Queen's gold (everything must match, right?). And that's it for the first 12 tags. Thanks so much for visiting and for playing if you are so inclined. I'll be back next Monday with the first of the two Thank You tags. Until then, enjoy this blessed season! These products were used to make this tag. 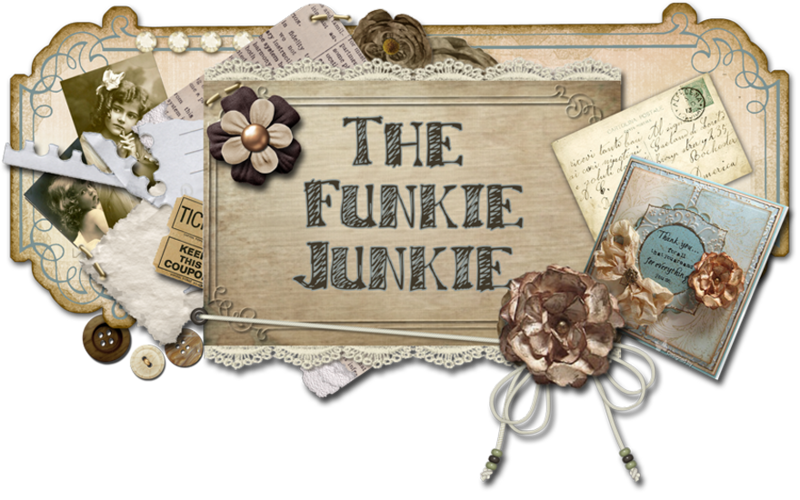 They are available at The Funkie Junkie Boutique where Tim Holtz products and most other crafty goodies are always 20% under MSRP. Love this one! What an elegant beauty... and the sideways twist is great!! I think this might be my favorite! Beautiful! I love this, Linda! Art Deco is a favorite of mine and this stamp set is fantastic. I got it as soon as it came out! I love the stars with the gold embossing paste. That is so beautiful! I love every detail & I now have gold embossing paste, yay! :) I'm now four weeks behind, but I'm determined to get them done before Christmas Eve. Wish me luck! Totally fab, probably my favourite of this year's tags. I am simply going to have to find a minute to give this one a go, love it!! A beautiful finale! Maybe my favorite, but all were gorgeous. Love this one Linda!! The snowy background is wonderful! I was hoping to play along this year but time got away from me. You've done it again...that's the 3rd year we've spent the holidays together crafting and it's been truly an honor to be inspired by you. Thank you so much for the wonderful time. Hugs to you and have a very merry and blessed Christmas! So elegant & beautiful! Merry Christmas Linda. This is just gorgeous, Linda. So elegant! Congrats on another successful 12 Tags challenge, and best wishes for a wonderful New Year.